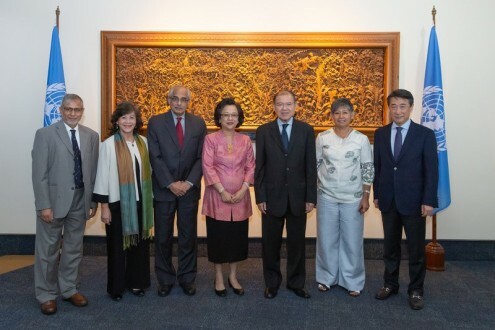 Executive Secretary Armida Alisjahbana has appointed an Eminent Persons Advisory Group to identify strategic policy areas and further enhance ESCAP’s focus to deliver on the 2030 Agenda for Sustainable Development. Comprising representatives from all sub-regions of the Asia-Pacific, the Group is tasked with advising ESCAP on an array of issues, including the medium to long-term strategic reposition framework of the regional commission and key priorities for the UN Development System Reform. They will also provide recommendations on ways for ESCAP to enhance engagement with member States and stakeholders.